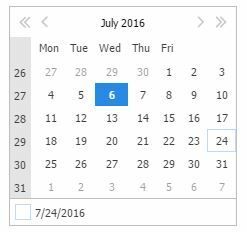 In the newly-added MonthCalendar control, Sat and Sun at the top row with day short names are invisible, at least in Classic-2 theme, as shown in the attached picture. This also brings up the question of localization… How can one change the names of days and months? That was a problem with the active color in Classic-2. – last, the preferred language reported by the client’s browser. 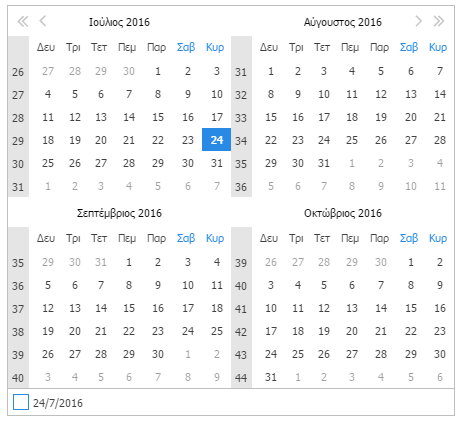 We are going to publish soon an integrated extension control using the full calendar library: http://fullcalendar.io/. It works with Wisej’s data store (similar to the data grid) requesting only the visible pages and supporting a large number of records. 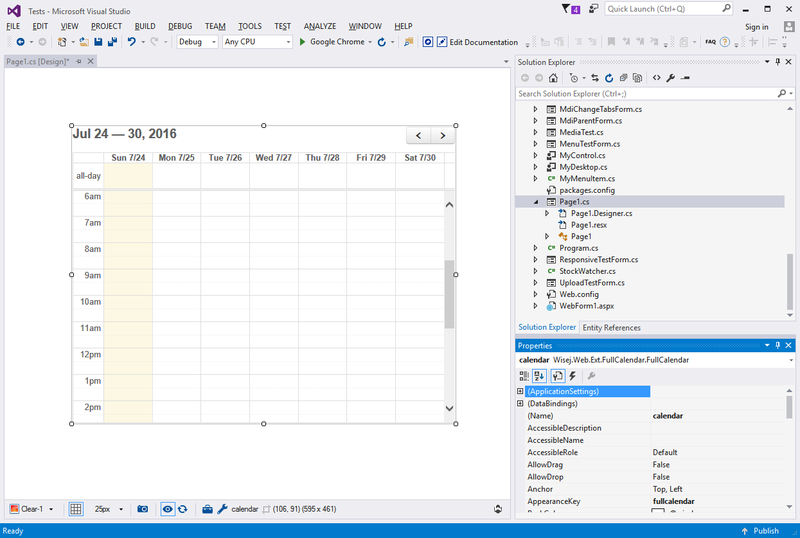 The control itself supports dragging, extending, full day, custom rendering, colors, etc. It’s extremely flexible and perfectly integrated with Wisej’s object model.